Watch “Parks and Recreation” tonight! Watch "Parks and Recreation" tonight! Tonight's the big night! KaBOOM! staff are gearing up to watch tonight's episode of NBC's "Parks and Recreation" at 8:30 p.m. EST/PST (7:30 p.m. CST). We're all really anxious to see how "TV magic" treats a playground build! We'll be live-tweeting the episode while we watch it. Watch for some fun facts and trivia! We've also started a message board thread so you can post your thoughts on the episode and chat with others who are watching it. UPDATE: Check out the Washington Times article on tonight's episode! 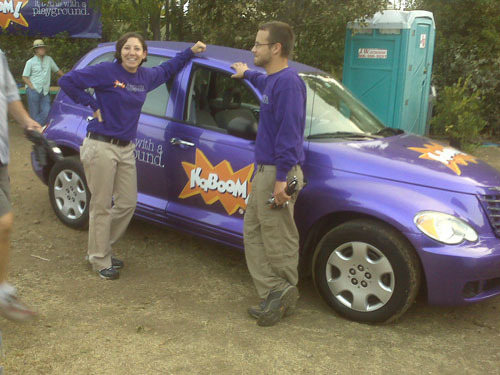 ANOTHER UPDATE: Paul Scheer, who plays a KaBOOM! project manager in the episode, blogged about his role on his website today.